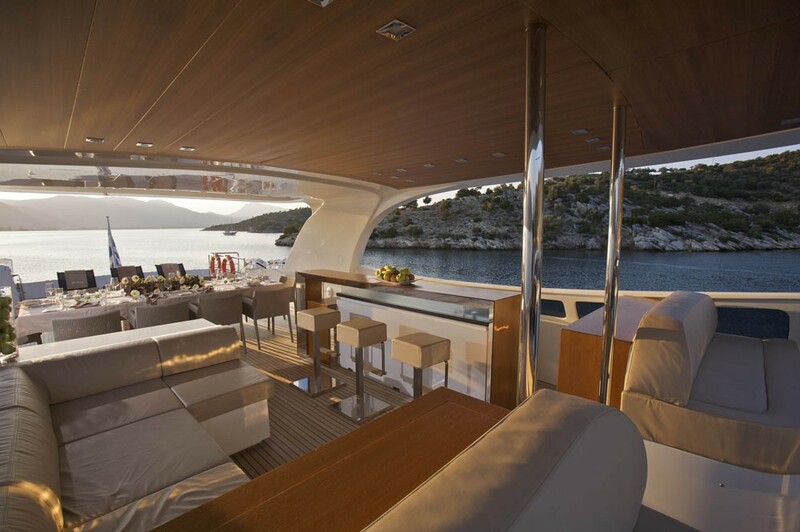 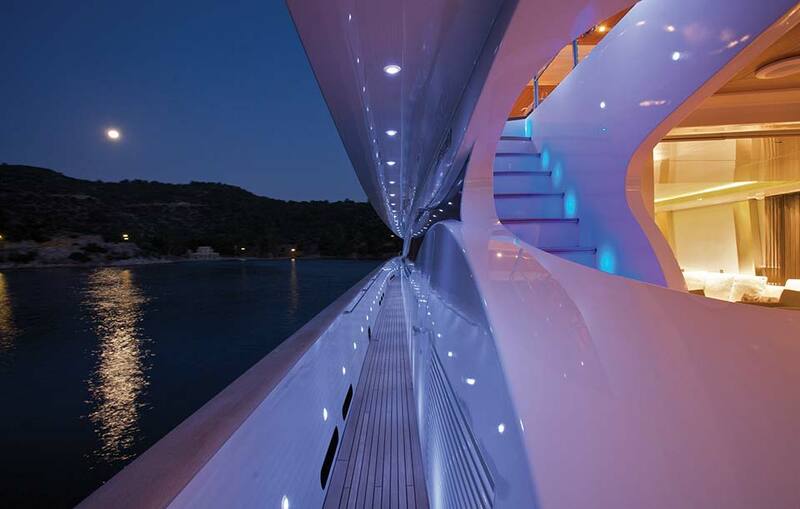 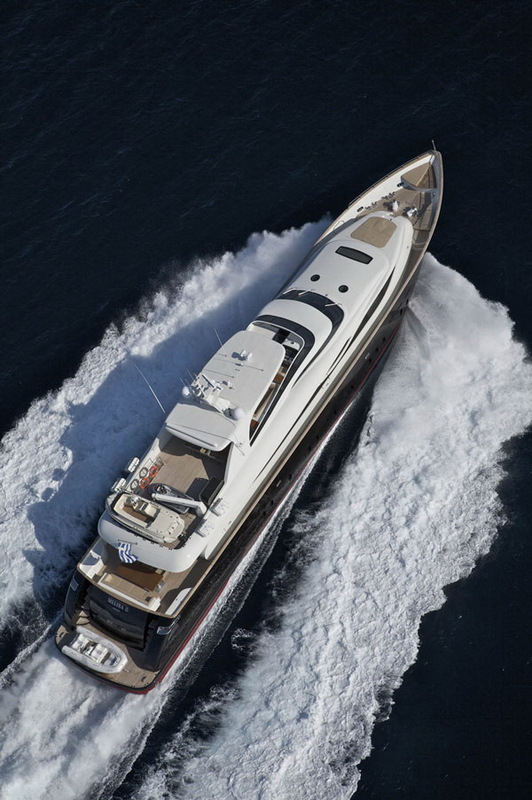 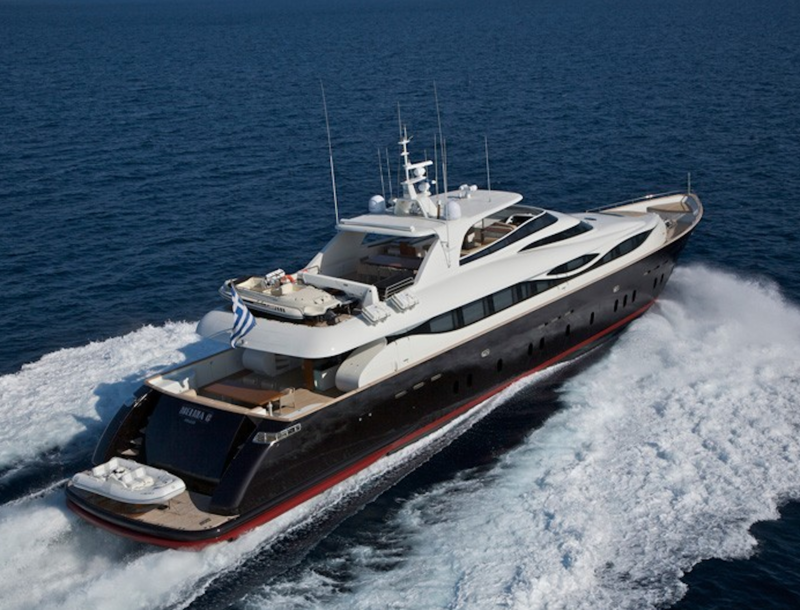 Level C is modern luxury superyacht available in the Mediterranean. 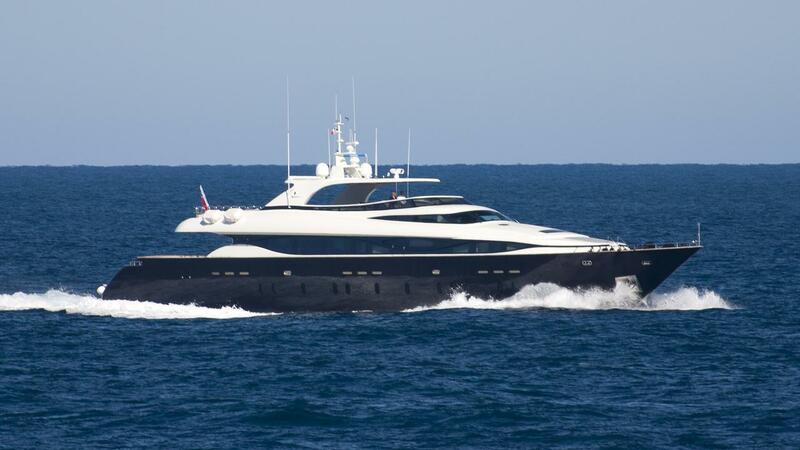 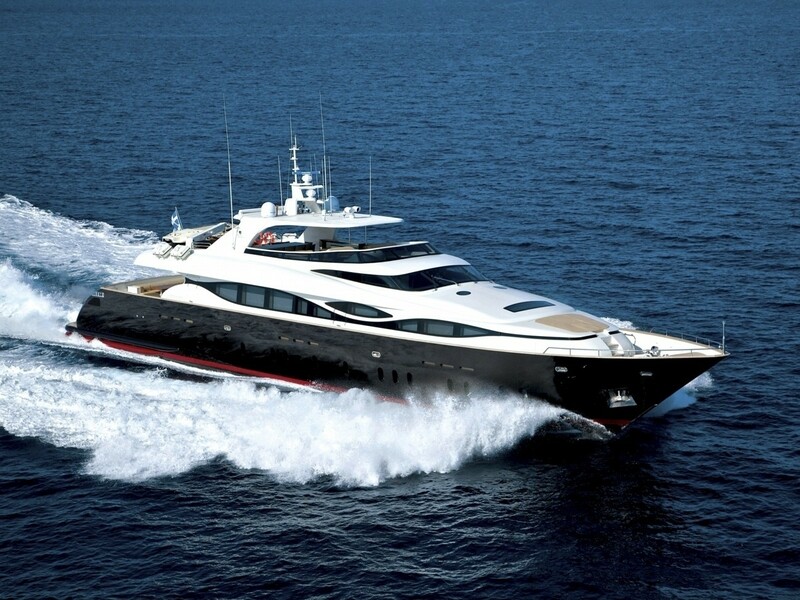 LEVEL C is a 40.00m (131' 2") is a luxury charter motor yacht built by Fipa Group from Italy. 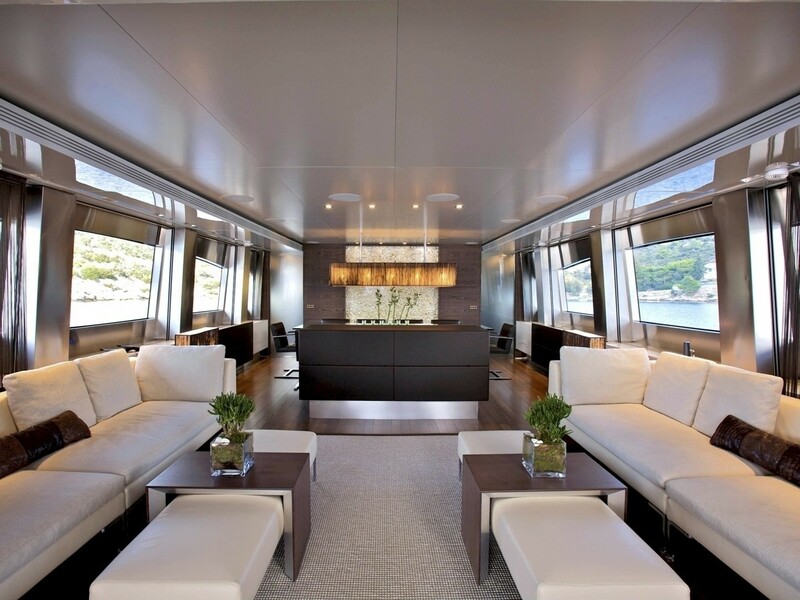 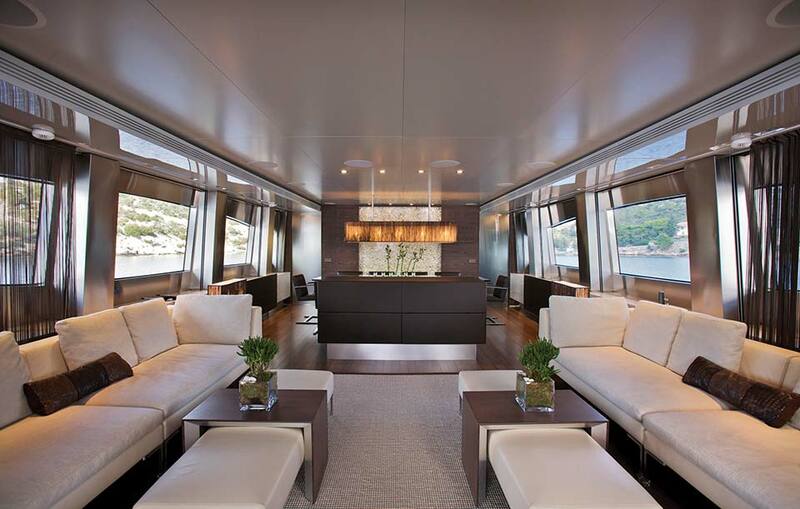 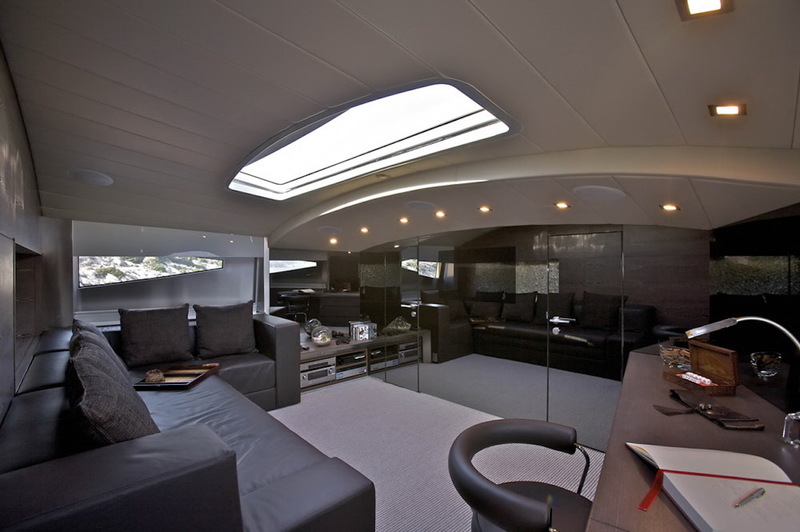 She features the attractive well-known sleek lines of a Maiora 38 DP along with a stylish and modern interior. 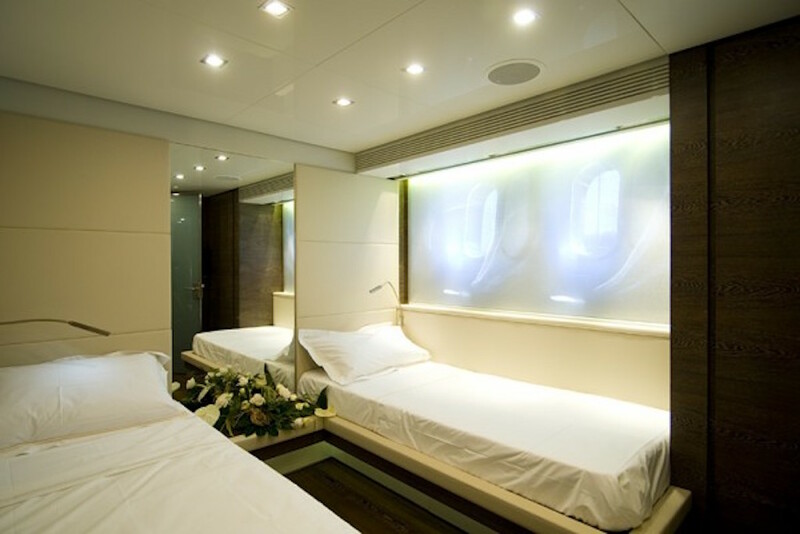 She can comfortably accommodate 12 guests in one master cabin, two double cabins, two twin cabins with Pullman berths and a playroom that can easily be converted into a double cabin, all of them equipped with ensuite bathroom. 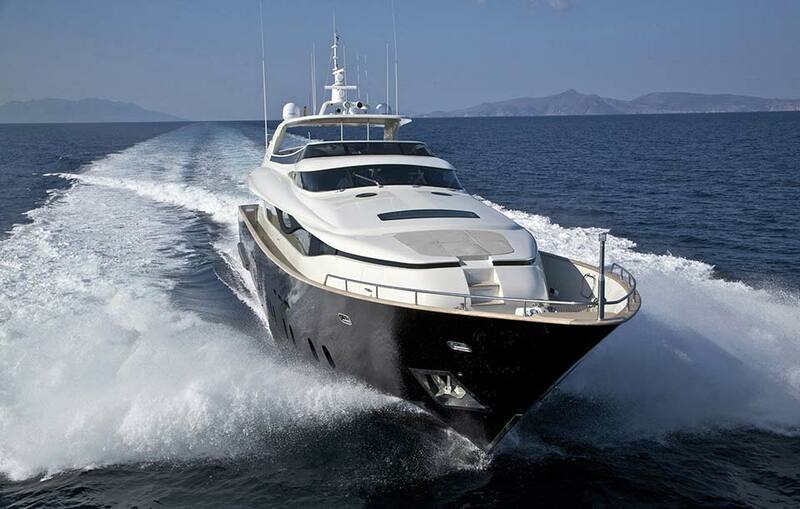 She has a GRP hull and superstructure and is driven by two MTU's, allowing her to reach speeds between 23-32 knots. 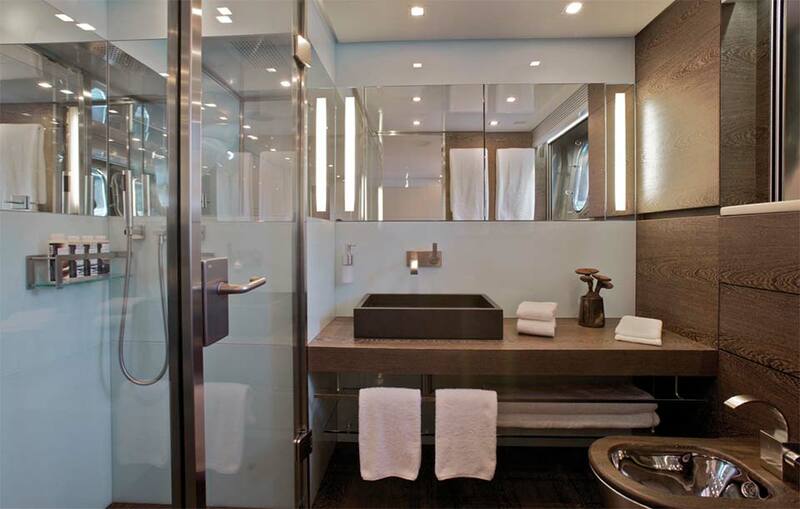 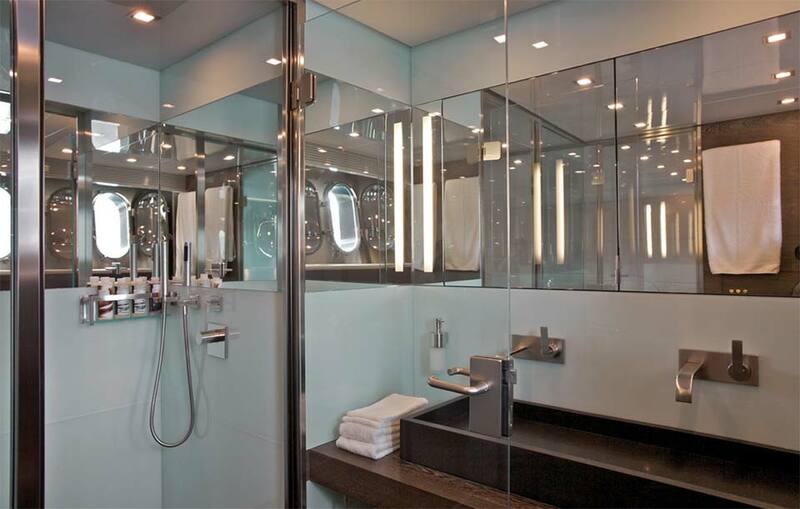 LEVEL C’s gorgeous interior has been carefully designed with attention to detail. 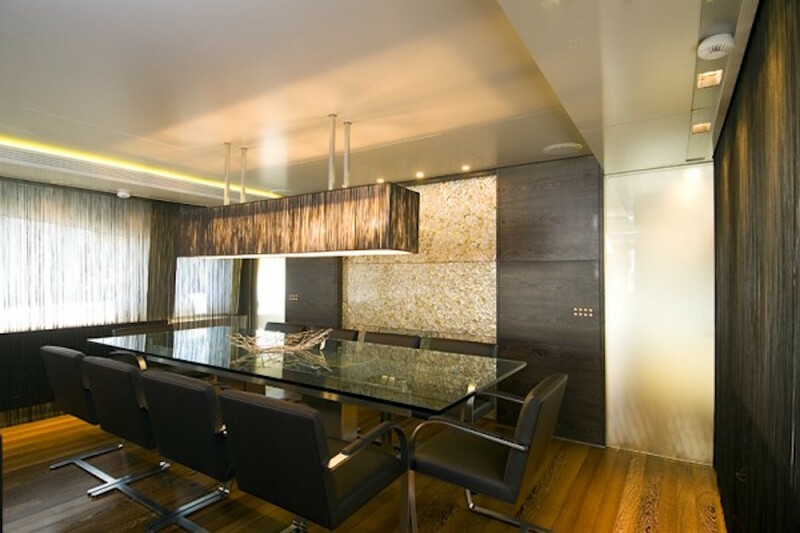 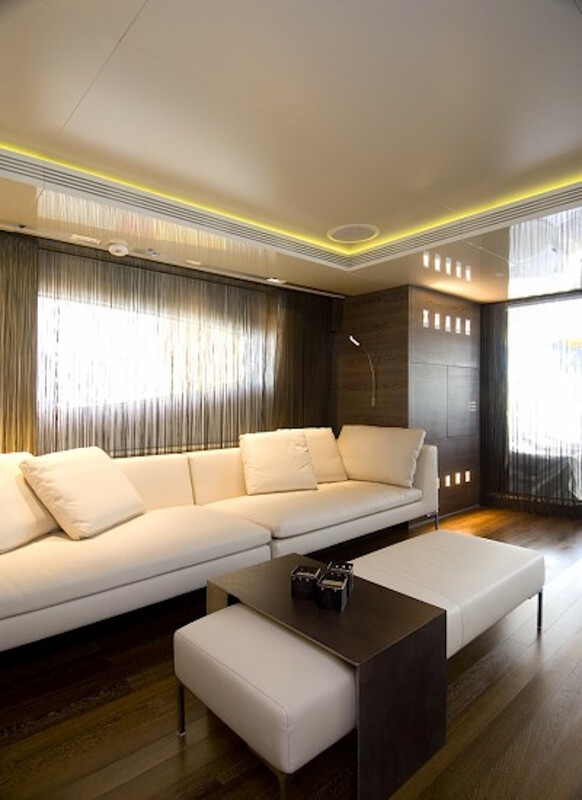 The decor combines comfort, elegance and stunning colour coordination along with a modern minimal approach. 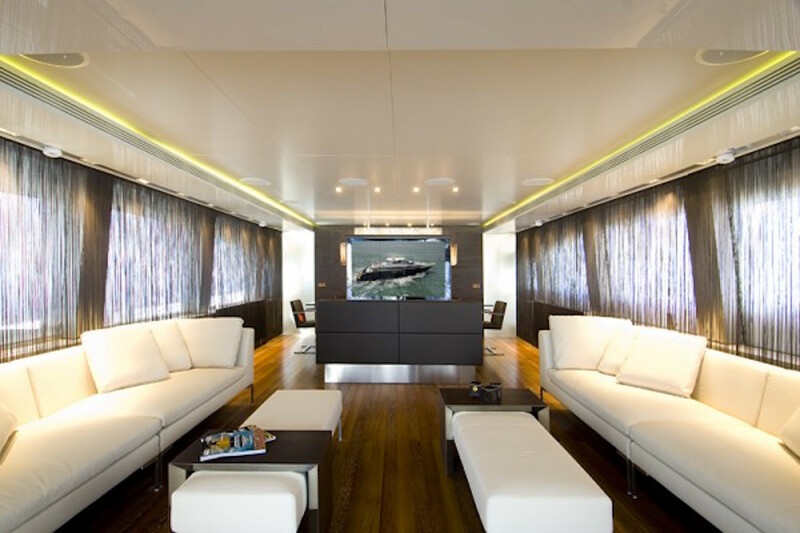 Guests have access to premium entertainment, communication and state-of-the-art furniture including a special entertainment centralised system with remote controls in every room. 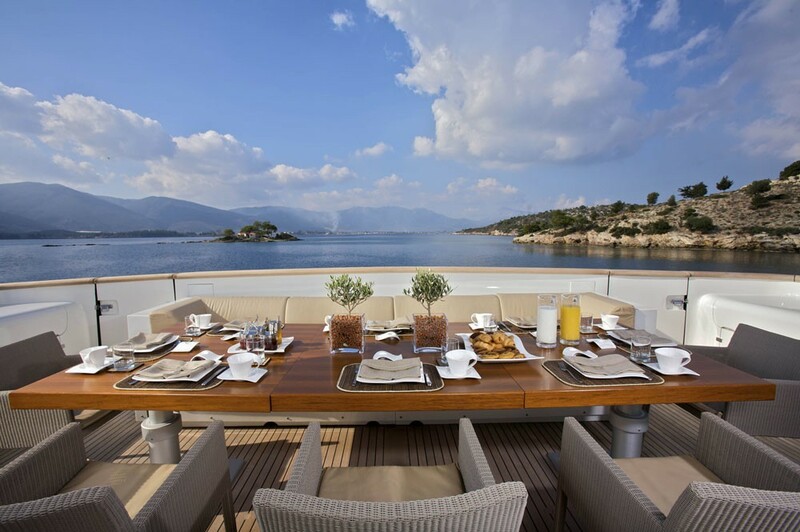 This luxury vessel has fabulous outdoor entertaining areas including an aft deck and sundeck both featuring beautiful dining areas for alfresco meals. 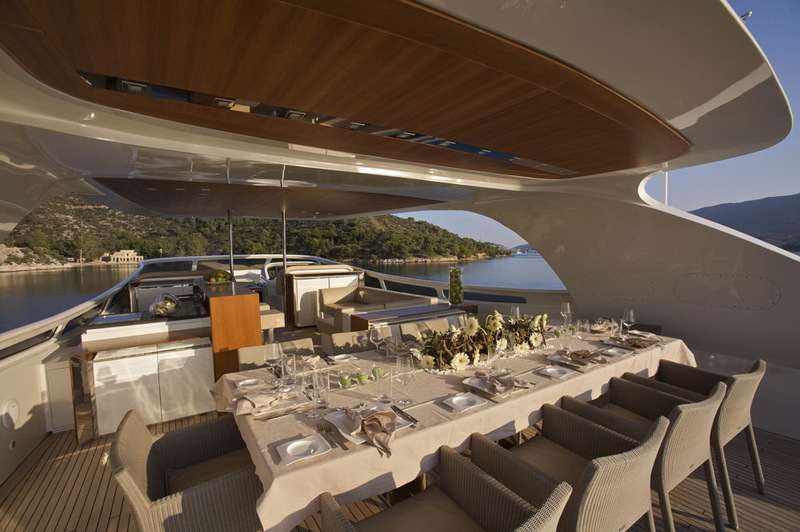 The aft deck table with fixed seating along the aft can be converted into two separate tables. 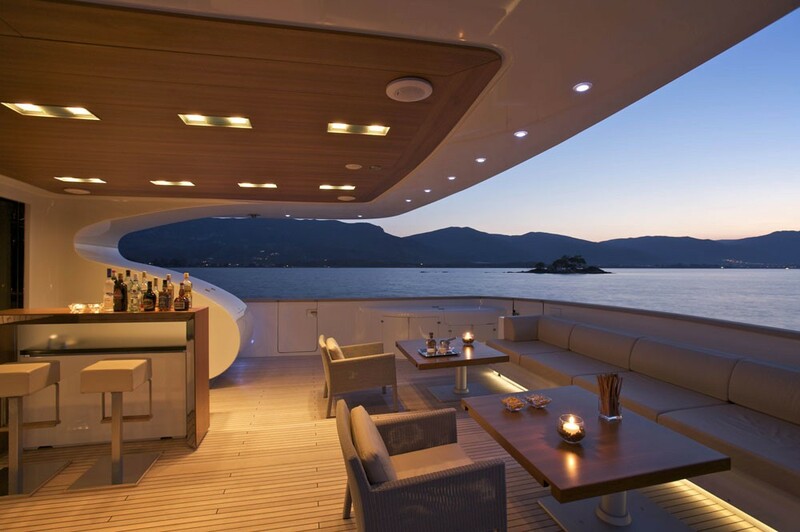 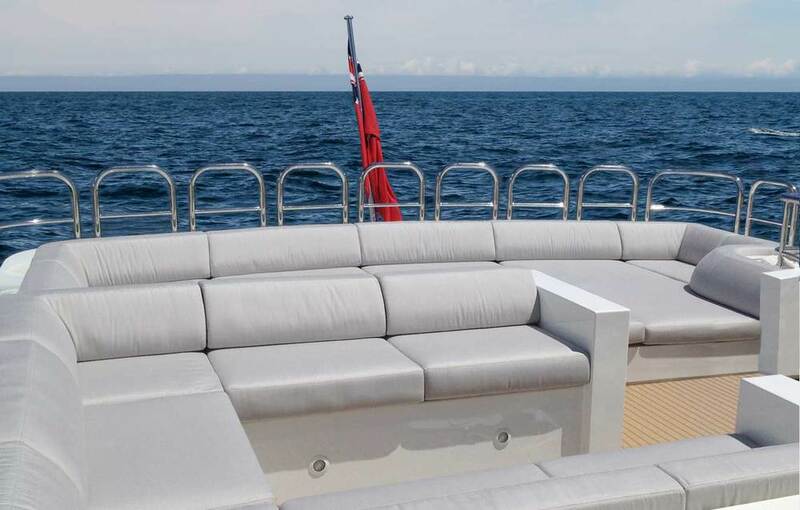 The sundeck has a bar along with a comfortable couch for lounging and soaking up the stunning scenery. 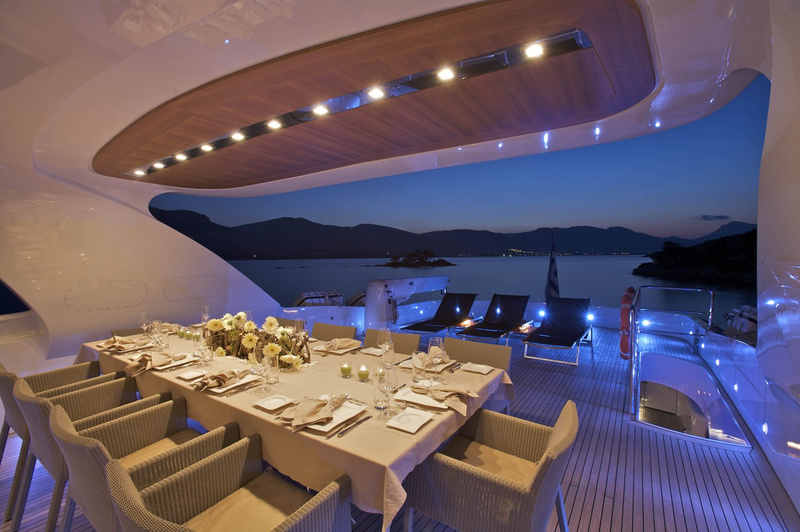 The yacht also features a generous swim platform and a range of the latest toys ensuring excitement to lovers of water sports. 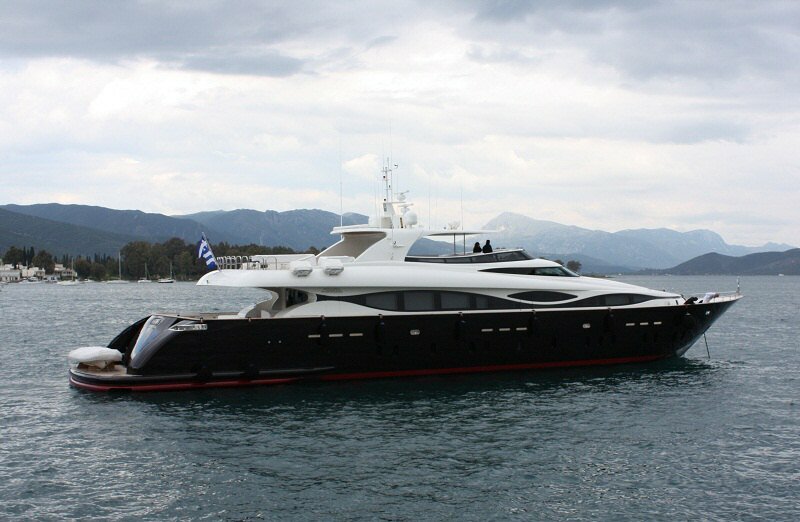 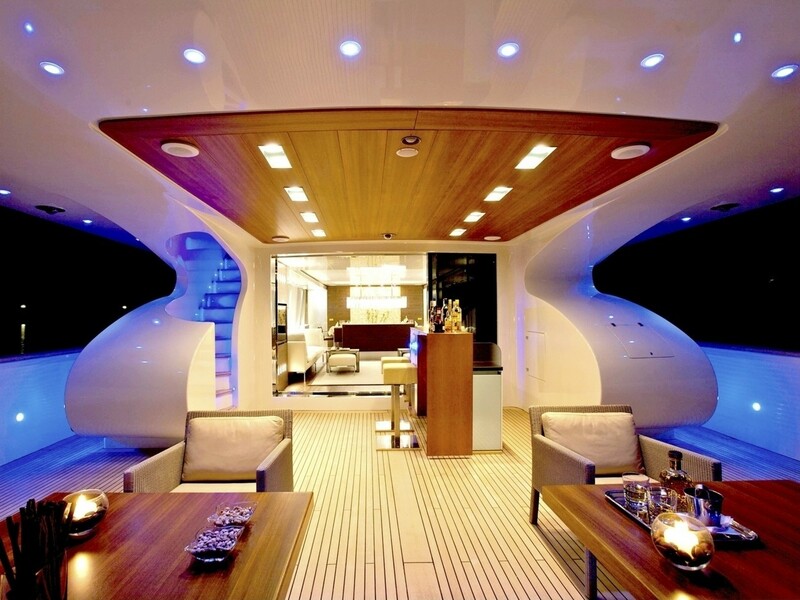 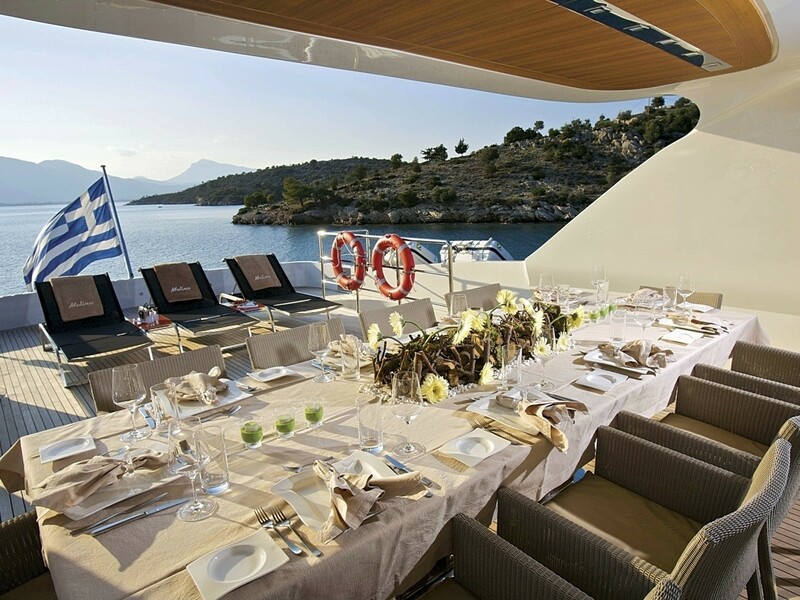 Fully air-conditioned, and truly innovative, this stylish Maiora motor yacht is perfect for cruising the Greek Isles. 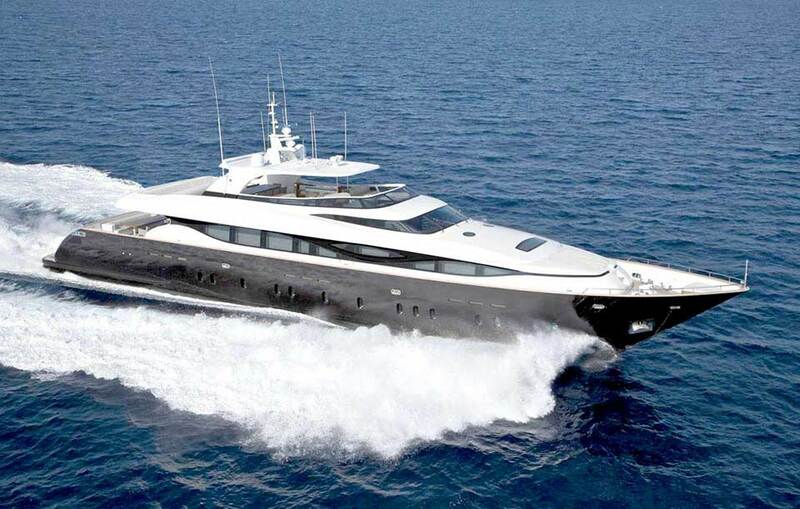 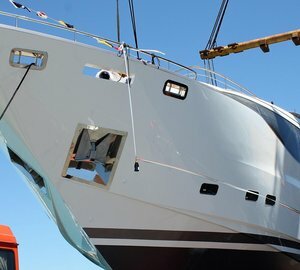 She combines beauty, safety and performance along with absolute comfort to surpass the demanding yachting lifestyle of the most discerning clientele. 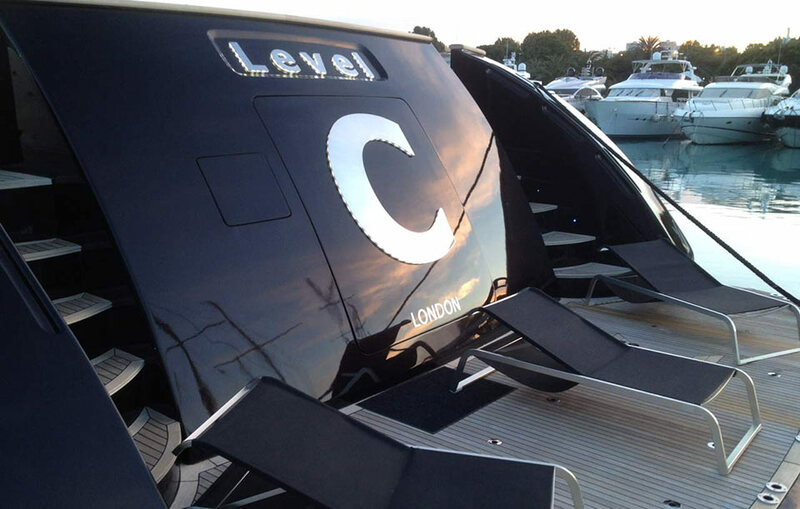 LEVEL C primarily specialises in charters around Greece and the East Mediterranean and has a dedicated and professional crew of 7. 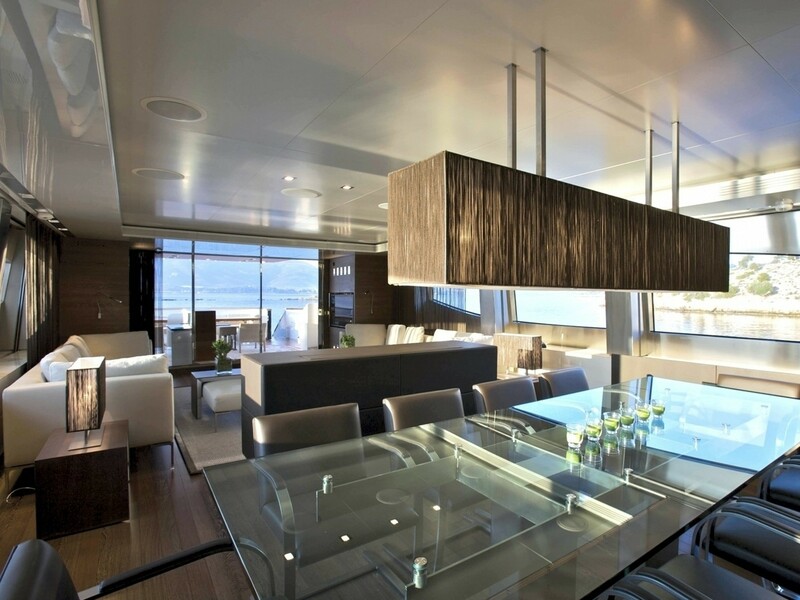 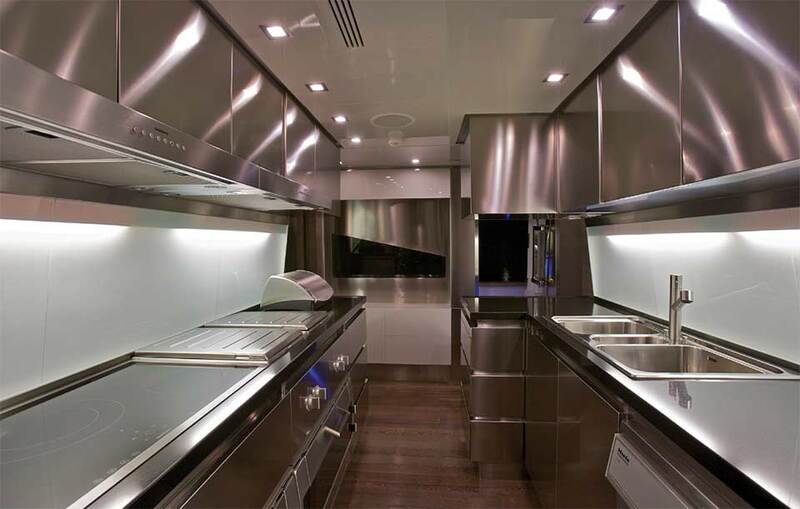 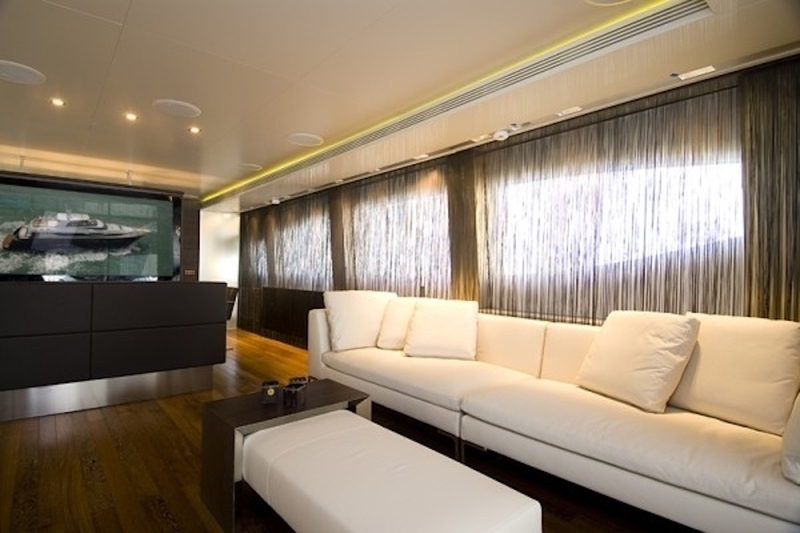 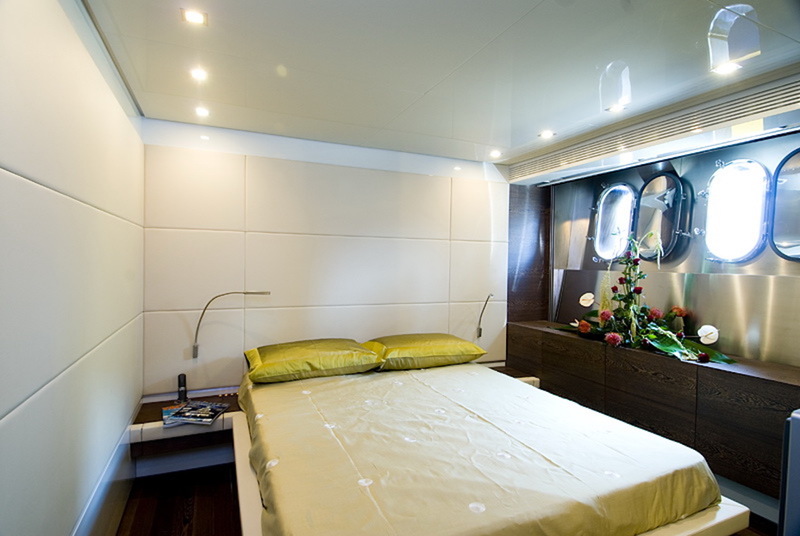 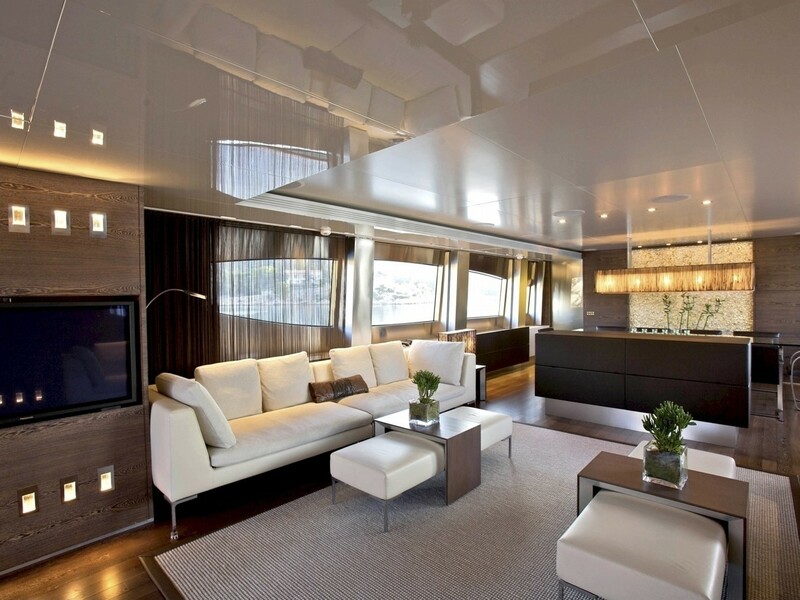 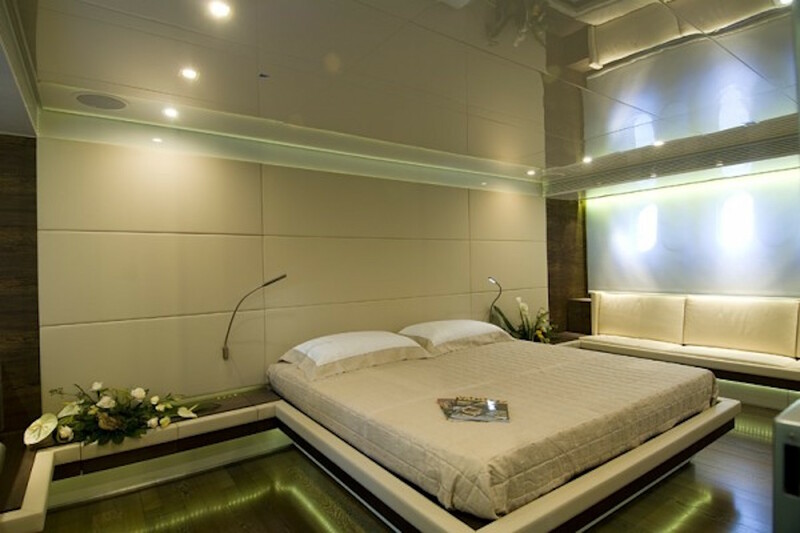 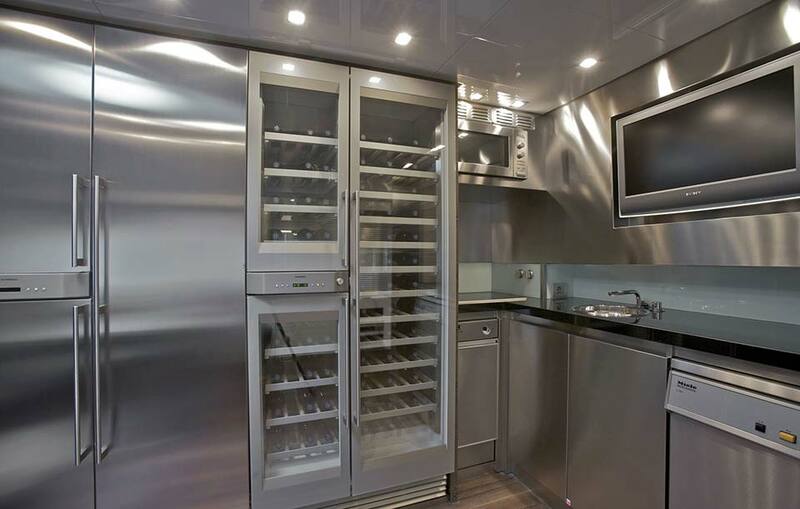 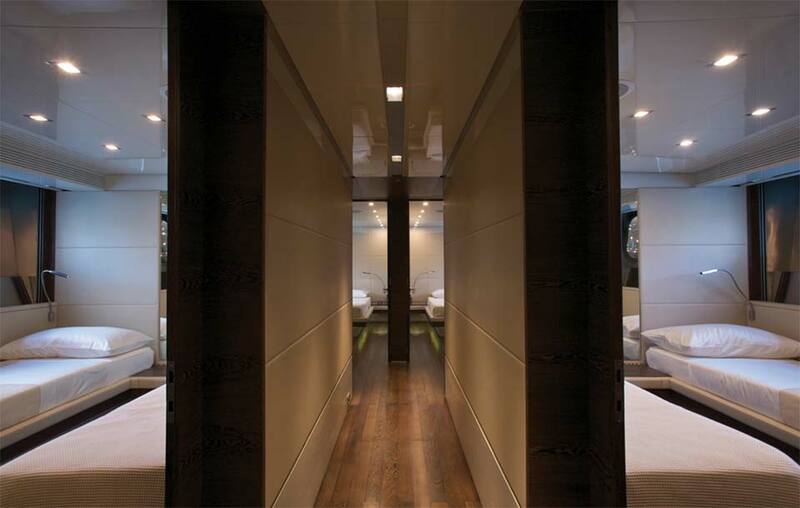 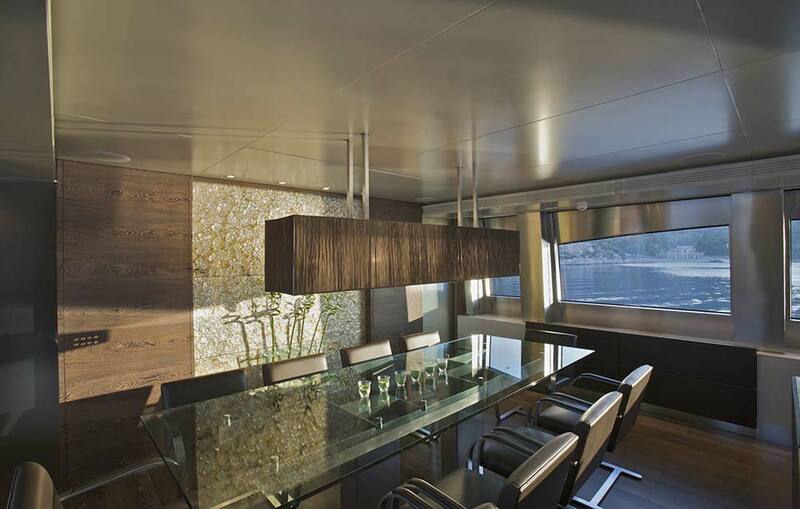 Luxury charter yacht LEVEL C has accommodation for up to 12 guests in 6 cabins. 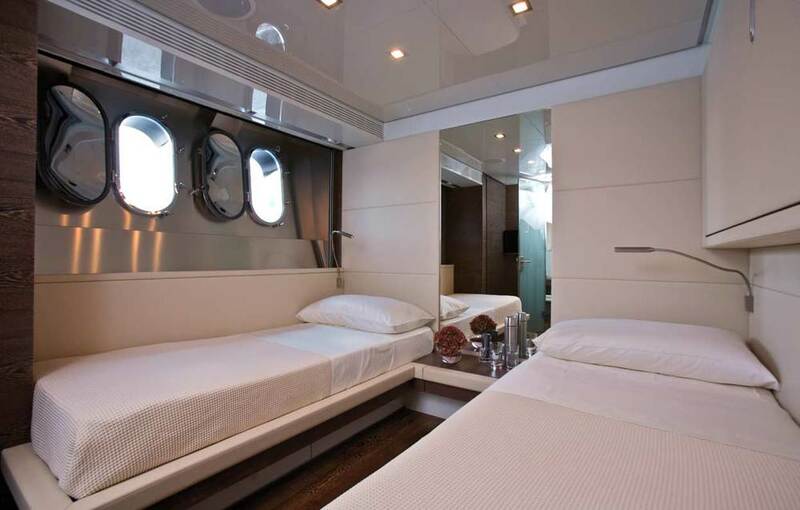 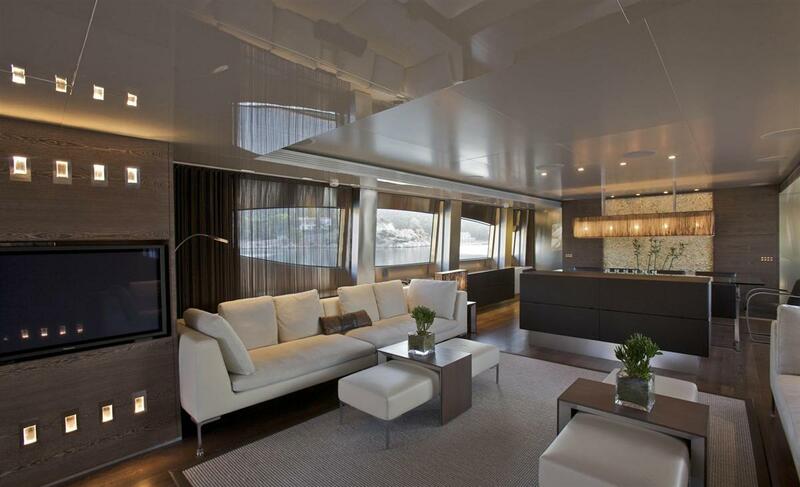 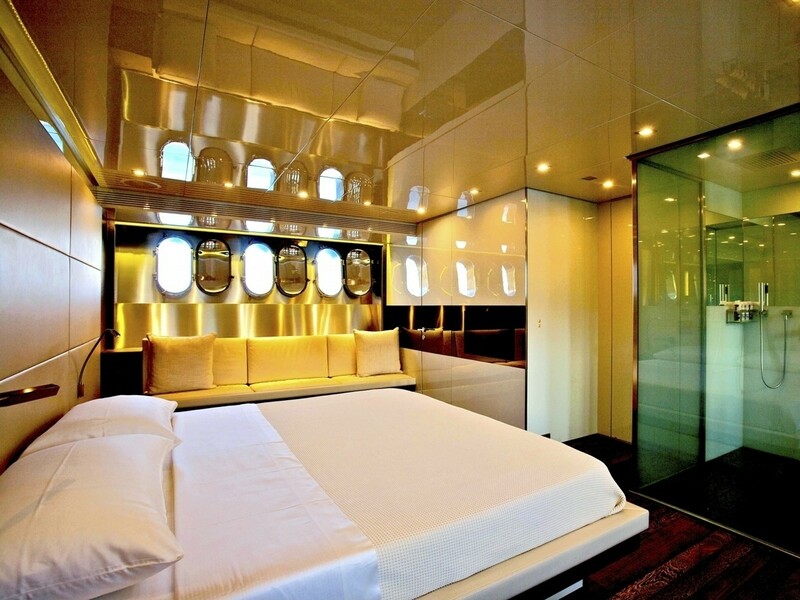 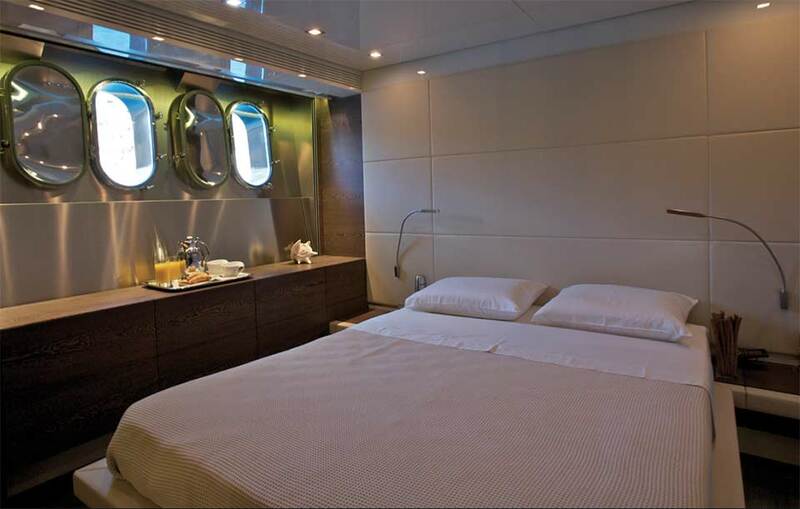 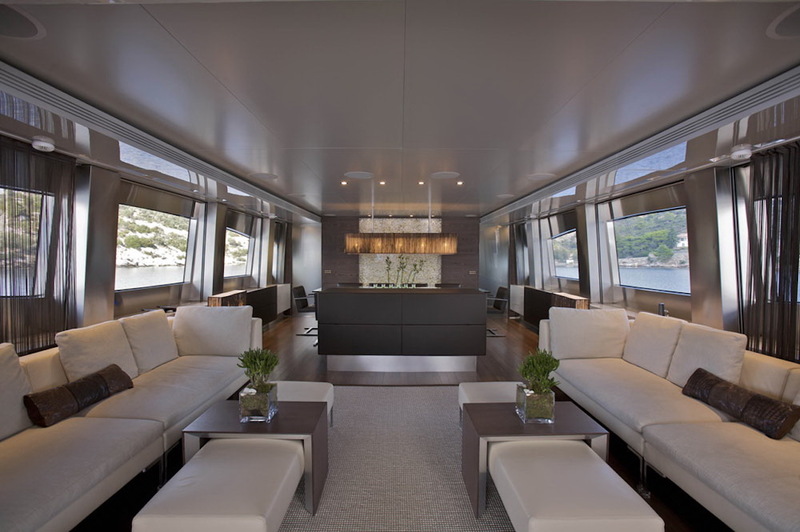 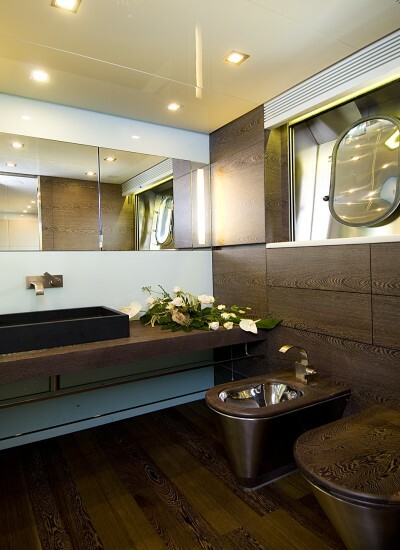 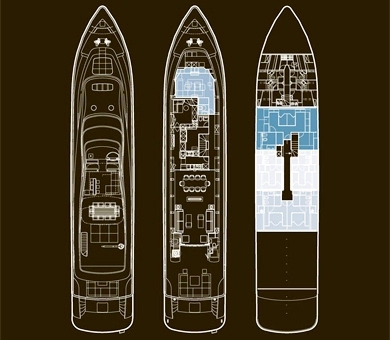 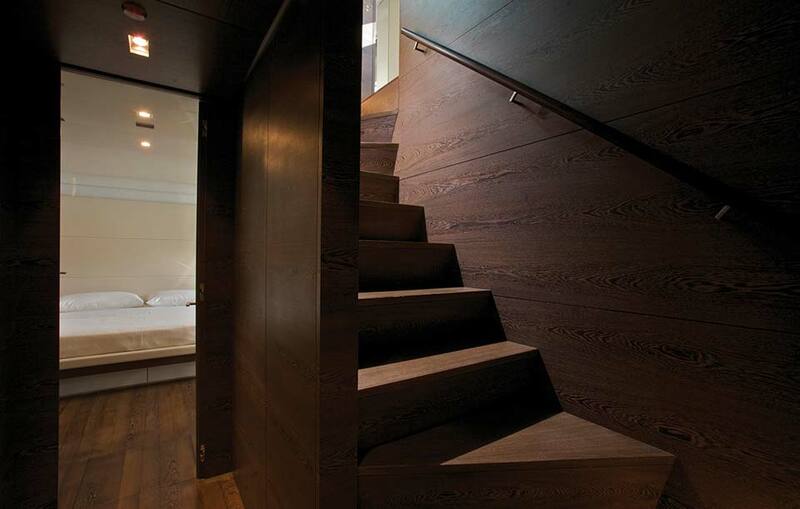 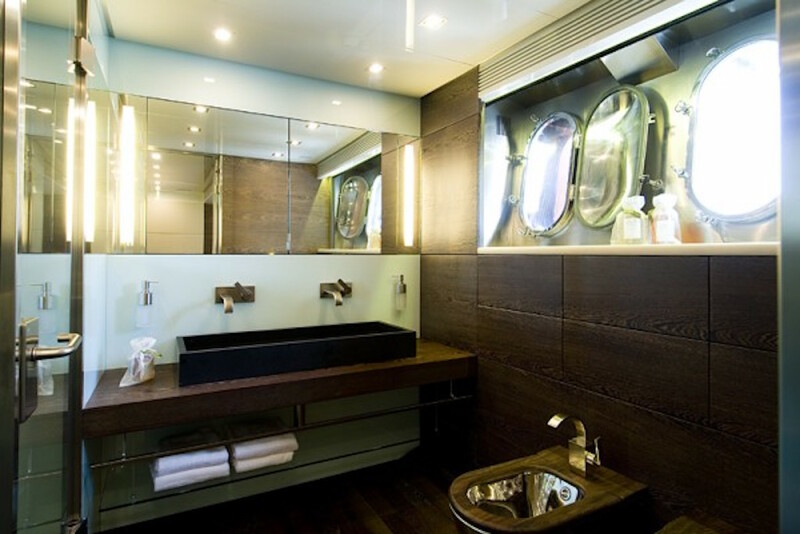 On the main deck, there is a Playroom that can be converted into a double cabin with its own bathroom and wardrobes. 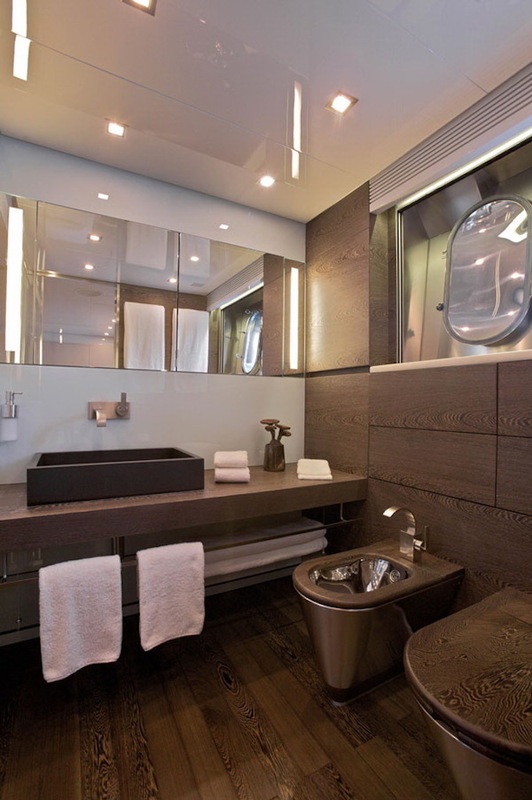 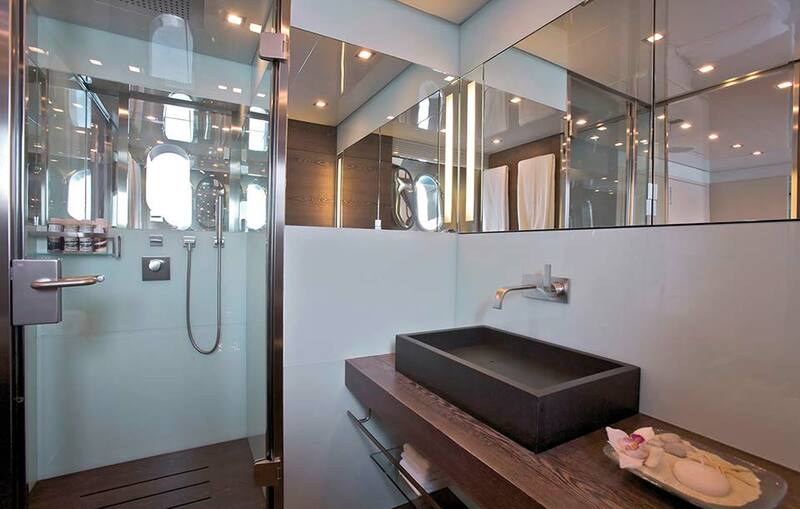 The remaining cabins including a Master, two doubles and two twin cabins with a Pullman bunk, all with ensuite facilities are located on the lower deck. 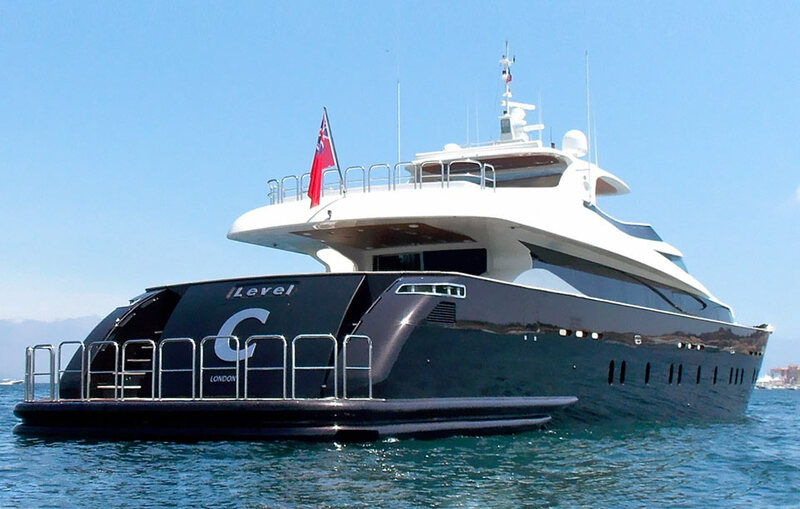 Luxury motor yacht LEVEL C has the following amenities on board: Her Tenders and Toys consist of a Novurania Equator 540 tender with 190hp Volvo Penta diesel engine, a 420 Zodiac Projet tender with 100hp turbo engine, a Waverunner Seadoo 4 stroke, Water-skis, Tubes, a Banana, a Wakeboard, Snorkelling and fishing equipment. 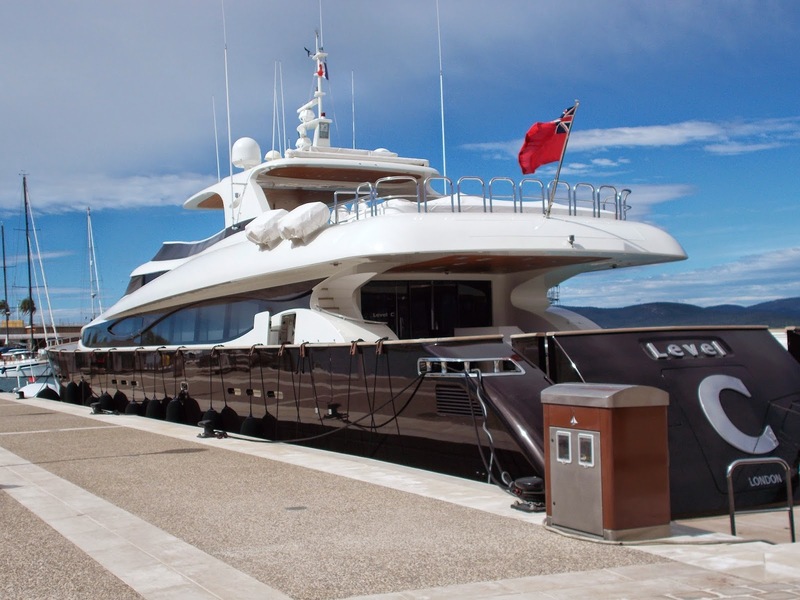 Communications include a Satellite and Cellular System (phone/fax), Satellite TV, a SSB transceiver, GMDSS, VHF DSC Wi-Fi internet and E-mail access. 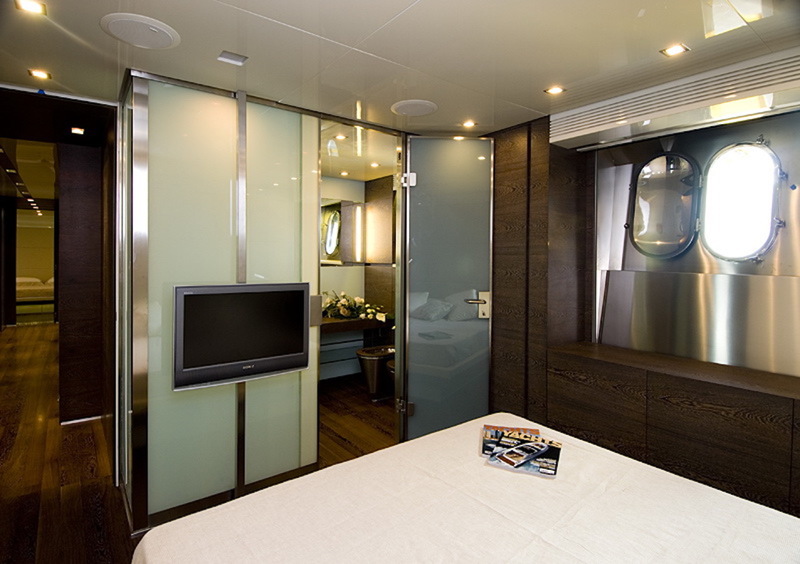 Audio Visual Equipment and Deck Facilities onboard includes a Sony VAIO HDMI Home Theatre System in all cabins, saloon, sundeck and aft deck, a special entertainment centralized system with remote controls in every room, a centralized system in wheelhouse with various movies and CDs storage, a CD with I-POD and a Playstation 3 in the playroom.